I made this birthday cake over past weekend for my 13-year-old Niece who is an animal lover and has a cat whom she is fond of. 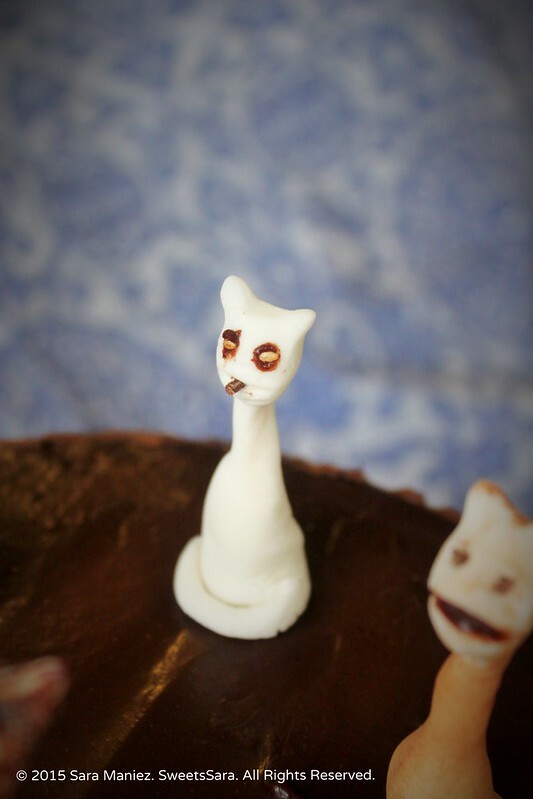 I asked my husband, Eric, to sculpt the marshmallow, almond-flavored, fondant cats that topped the cake. Though he does have experience sculpting clay, he had never sculpted with fondant before and I am very proud of him! 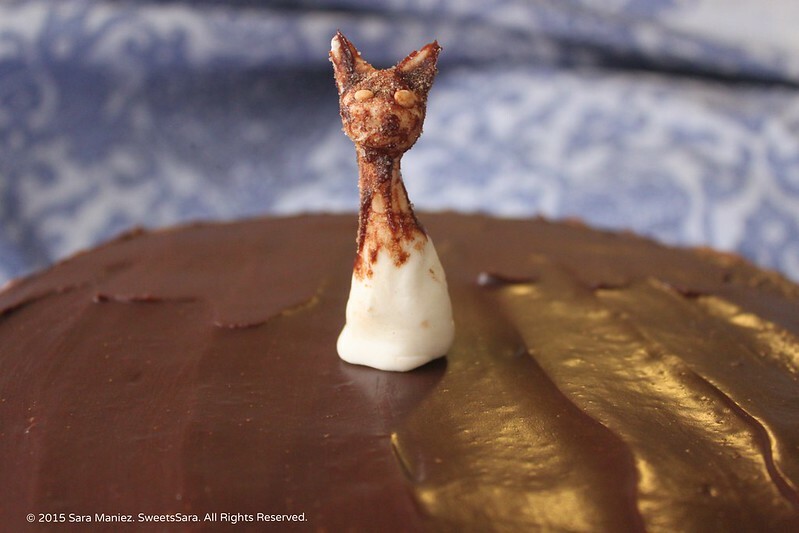 Almond Fondant Felines adorn this chocolate cake with mocha frosting times two. Disclosure: This post contains some affiliate links which means I earn a commission when you utilize them. I only recommend brands and products that I like and enjoy using. Some links are just for educational purposes and sharing pages that I have found helpful. 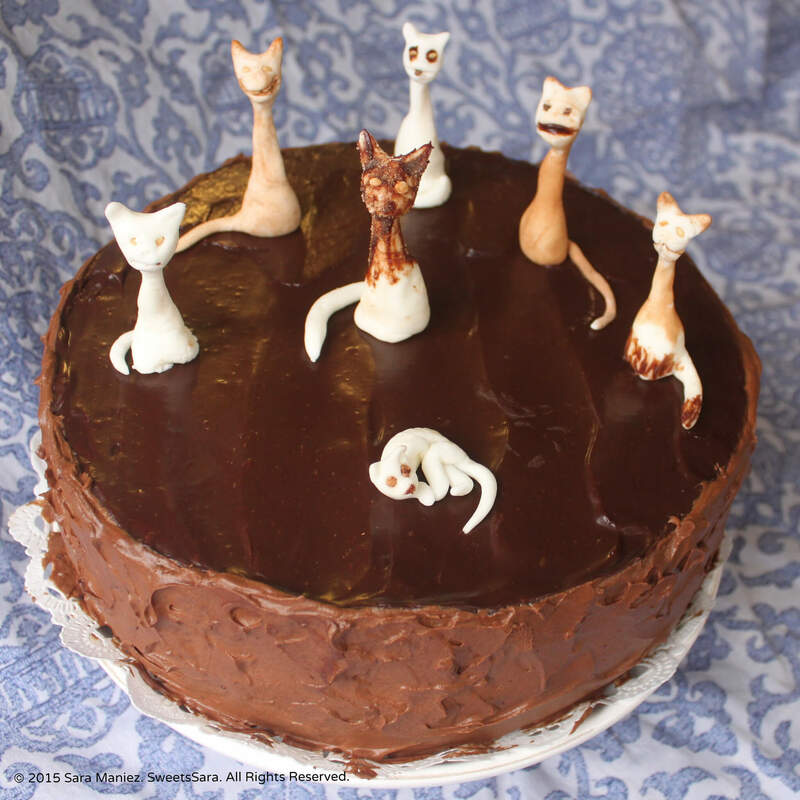 The cats bring a unique personality to this cake; they are kind of strange, funny, edgy, cute, creepy, handmade and playful at the same time. In trying to be resourceful, I chose to use just what was available the kitchen, i.e. 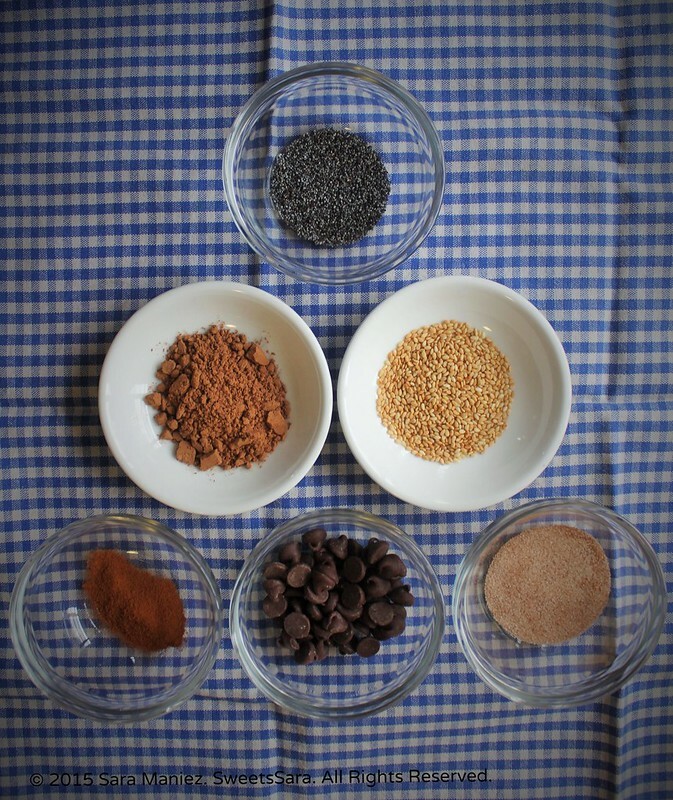 cinnamon, poppy seeds, sesame seeds, cocoa and mocha ganache, to color and add detail to the cats. It was my first time attempting fondant and now I know why people chose to purchase it from the store: it is sticky and can be messy. But you know what? 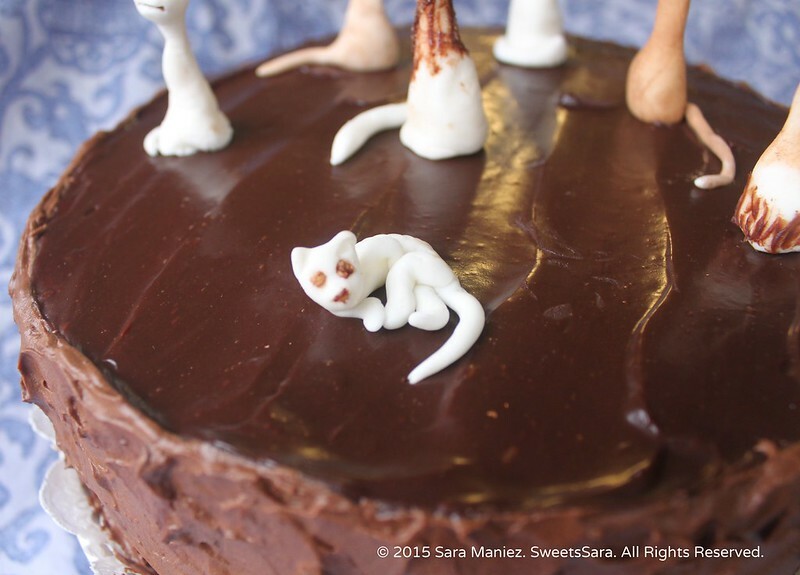 It is actually pretty simple to do marshmallow fondant and I love the idea of edible, uniquely designed critters – or whatever it may be – decorating the cake, so that makes it worth it! Chocolate and mocha were the requested flavors for the birthday cake, so I took those and wanted to add some complexity. Since this cake was intended for a group of adolescents, I didn’t want to blow their hair back with a high concentration of espresso powder, leaving everyone on the ceiling, so I opted for dark roast instant coffee in an easy-going amount and the mocha flavor was there and delivered satisfyingly, even for me, a die-hard, coffee lover. I love to make ganache every which way since it is so easy to make, smooth in texture, feels decadent when eaten and always looks élégante. On the technical side, I felt that a whipped frosting would be easier for applying and assembling a double-layer cake, filling in the space between layers. Visually, I wanted a two-tone and textured contrast between both types of frosting, however different they are, they unite through the mocha flavor. The double-layer cake itself is classic chocolate and very moist. It’s not overly sweet, so one can easily have more than one piece without overdosing with sweetness on the palate. I purposefully kept the cake part being chocolate only, verses making it mocha because it would have been too much mocha (not that there’s anything wrong with too much mocha!) and that was not what I was going for. The recipe utilizes buttermilk to add dimension in flavor, texture and moisture (to explain more about the effect of buttermilk in baking read here). For serving, I did make vanilla flavored whipped cream but ideally, I could see this cake pairing nicely with vanilla bean ice cream and a hot espresso. = A Divine, Delicious Experience! This was a cake that I will want to make again and again or some iteration of in the future. 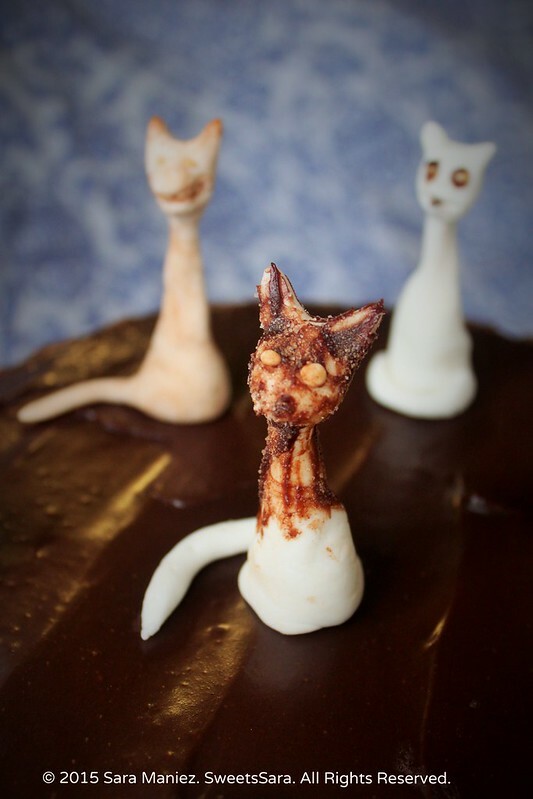 It does not take itself too seriously, thanks to the fondant felines but most importantly, delivers a satisfying dose of chocolate and mocha. 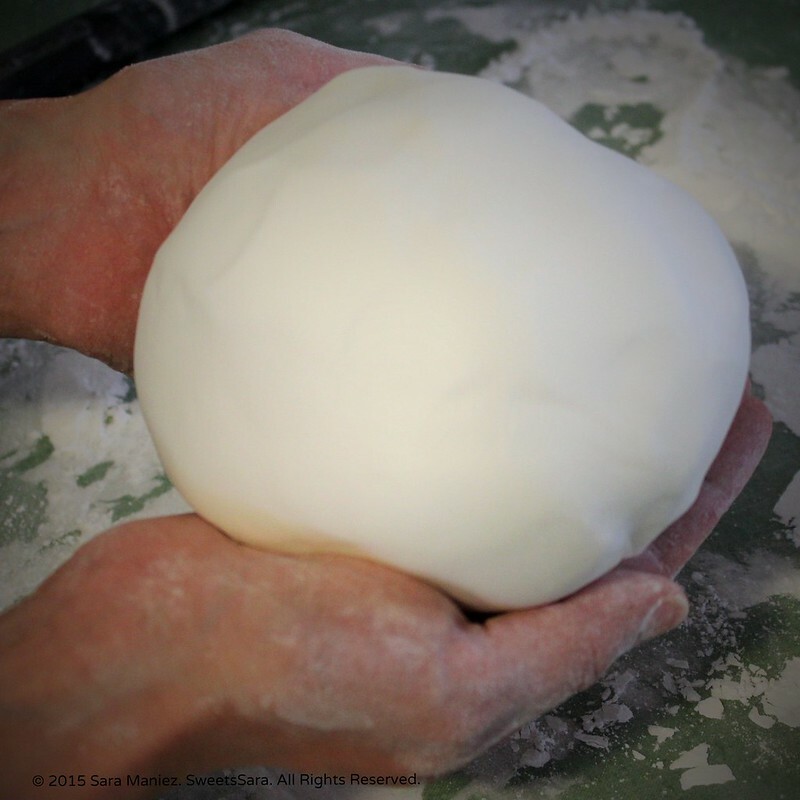 1 recipe Marshmallow Fondant, , see below. 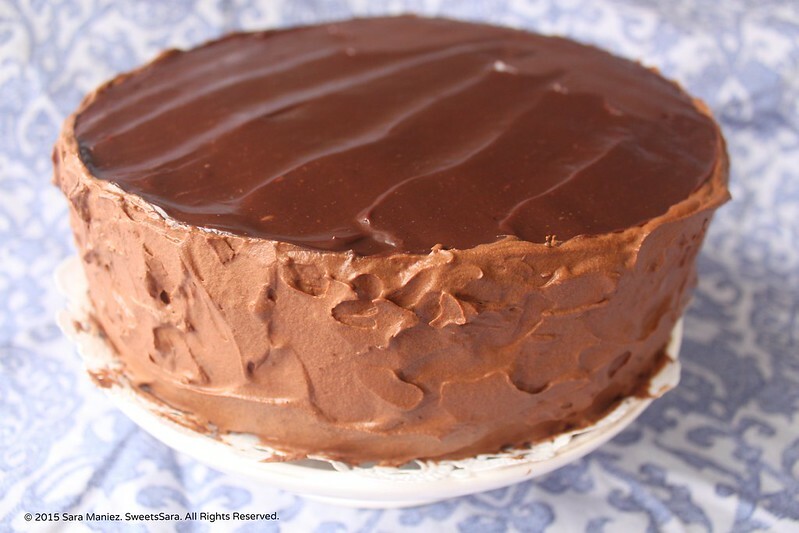 1 recipe Mocha Ganache Frosting, , see below. 1 recipe Whipped Mocha Frosting, , see below. Preheat your oven to 350 degrees. Grease and flour two 9 x 2 inch cake pans. Using a large mixing bowl, stir together flour, sugar, cocoa powder, baking soda, baking powder, and salt, making sure the dry ingredients are well blended. **Sift dry ingredient mixture. Add buttermilk, oil and vanilla. Beat until just combined. Add the egg and beat for a couple of minutes more, then spread batter into the prepared pans, putting an even amount of batter in both. **Sifting the dry ingredients is not essential but it will give the cake a finer texture. Bake for 30 to 35 minutes or until a toothpick inserted into the center comes out clean. Allow to cool 10 mins. in pan, then flip out of pan and cool completely on cooling rack. Using a bread knife or long serrated knife, slice the rounded cake top off, to achieve a level surface, if desired. *While cake is baking, make the ganache frosting and leave out, since it needs to be spread while warm. Make the whipped mocha frosting which can be refrigerated while waiting for the cake to cool, if need be. The original recipe that inspired my version is called “One-Bowl Chocolate Cake” p.168 of the Better Homes and Gardens New Cook Book. Please note: I follow 1/3 cup of cooking oil in the book version versus the online version where it calls for 1/4 cup of cooking oil. For the ganache frosting, my version is inspired by “Ganache” recipe, Better Homes and Gardens New Cook Book, p. 186. For the whipped mocha frosting, my version is inspired by “Mocha frosting,” Better Homes and Gardens New Cook Book, p. 176. My stove top version of Marshmallow Fondant was inspired by this microwave version of Marshmallow Fondant, and for a great video showing how to make it, click here. Wow! It looks yummy, even the cat seems to love it…. 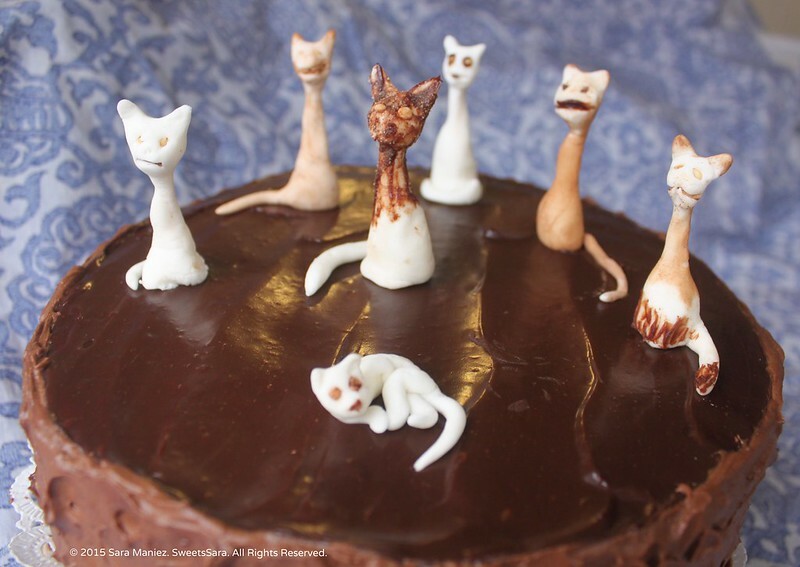 This delicious looking cake is baked with most loving consideration & the little cats are so cute & expressive! The lucky birthday girl must be so pleased & will remember your effort always. What an adorable cake and it looks delicious, my daughter will just love this. Thanks so much for sharing with Full Plate Thursday and hope you are having a great day. Hello Miz Helen! I appreciate you stopping by, thank you for hosting such a fun link party! This is just too cute! Thanks for linking up with us for Fabulous Foodie Fridays, Merry Christmas! Merry Christmas Lauren, your welcome!